What's so hard about writing an online job ad? On the surface, it seems simple enough. Just describe the job's responsibilities, label it with the role you're hiring for, and post the ad. While that strategy might get you a few results, there are some best practices that can maximize your ad's views and clicks. In turn, that can help attract the best candidates. We've outlined five tips to help you write the most effective job ads. Starting with a look at how candidates search for jobs, we've uncovered how something like the title -- which might seem simple in theory -- can actually have a profound impact on your hiring funnel. How Do Candidates Search for Jobs? With job boards like Indeed, Glassdoor, Snagajob, and Proven, candidates typically begin the application process with a search for terms relevant to their desired positions. When results appear, they're reviewed quickly. In fact, you have about eight seconds to hold someone's attention, which we estimate is about how long it takes for a candidate to decide if the description is good fit. 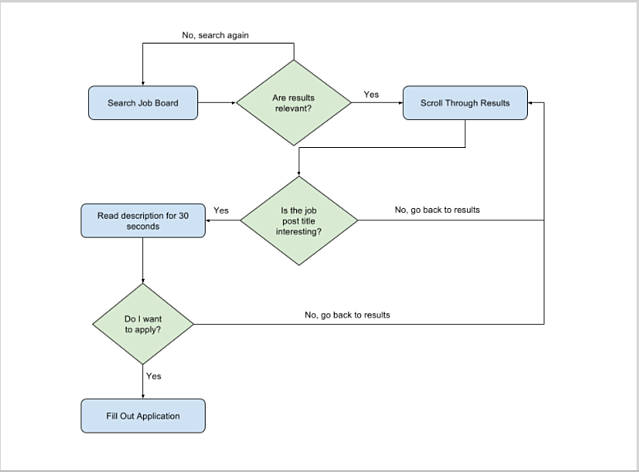 The image below outlines the basic flow and decisions made during a candidate’s search process. Each decision point, shown in green, is a potential lost opportunity with a strong candidate. With that in mind, there are actionable strategies you can start using today to reduce this kind of drop-off from your ads. 1) Put the role in the title. It might seem obvious, but you'd be surprised how many job ad titles are missing the key ingredient -- the role you're hiring for. Including it in the title is not only valuable in search, but it also helps the job seeker understand the relevance of your ad. Many job search engines use exact matching between the search query and the job post. If the query doesn't appear in your ad title, bad news -- it probably won't show up for the candidate. You want to make the decision to click simple for the job seeker, and having an exact match between the query and your ad title is the most straightforward way to do so. 2) Use the most common terms to describe the role. Many companies have internal language used to describe different roles -- for example, you might refer to your customer service representatives as “customer ninjas.” But think about that. Is your ideal job candidate likely to be entering a query for "ninja"? The general population of job seekers probably isn't using terms like that to search for relevant positions. This is one place, therefore, where you can use a common set of terms -- with too much specialized language, you run the risk of hiding your job from most candidates. Keep it simple -- that'll help make your job ad as visible as possible. 3) Keep your title between 50-60 characters. When it comes to job ad titles, go for the "Goldilocks effect" -- not too short, and not too long, but just right. Longer titles are likely to be cut off within search results, or trail onto a second line. But too short, and the ad title might not be detailed enough. Aim for fifty to 60 characters, or four to five words -- Ads with that quantity tend to outperform others by 30-40%. 4) Make the title stand out. When you're deciding which words to include in your ad title, choose wisely -- while you want to match candidate queries, you also want to stand apart from the competition. That can be a challenge for hiring managers, as many job search results are almost identical. You want to do something a little different to attract the job seeker’s attention and prioritize your job ad over others. One way to do that is to include a bit of information about the role itself, your company, or the benefits. Whatever you do, though, avoid using all capital letters. 5) Focus on one position per job ad. Multitasking -- sometimes, it's great. That's why it can be tempting to advertise more than one position within a single job ad. After all, you might be paying for each of these online listings, so you might as well save by consolidating, right? Wrong -- there are some pretty negative consequences to consolidating multiple positions within one ad. First, you already only have 50-60 characters to both match with potential queries and to stand out. Imagine how much more difficult that becomes if you're trying to promote multiple positions. Chances are, you don’t have space in the title to do that effectively. It's also just plain confusing to the candidate. The more variables involved -- in this case, the more job positions -- the less compelling your story is about the opportunity. With a rambling, unorganized description, the job seeker is likely to ask, "What the heck am I applying for?" and move on. But the biggest drawback of all actually goes back to the search itself. 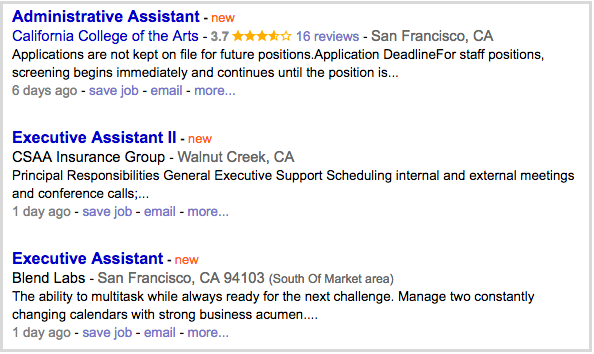 If you're hiring for more than one position within a single ad, sites like Indeed won't list it in organic results. On the other hand, if you post a sponsored listing on Indeed, it will deliver free organic traffic to your ad. Depending on your budget, you might want to consider investing in features like this one -- It might help to further prevent your ad from turning into a cattle call. Each decision point in a candidate's job search is a potential falling off point for your ads. Become aware of them, then optimize your ads and their titles to get the best visibility -- and, therefore, the best candidates. When it comes to writing job ads and titles, what's worked for you? Let us know in the comments. 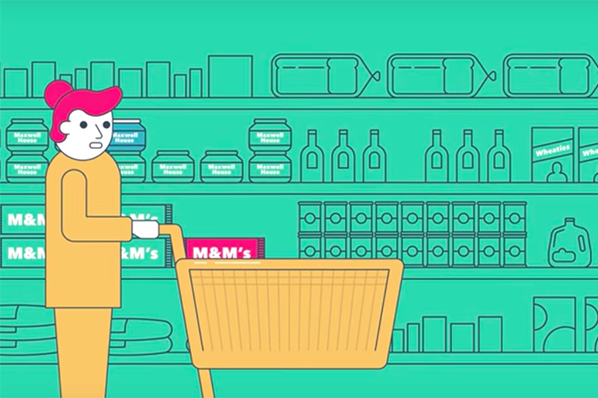 In an effort to capitalize on cross-channel marketing, many businesses experiment with online ads. Web ads can be used to promote new content offers or product discounts. But how do you ensure your online ads generate maximum conversions?